Where to stay in Methven on a budget? Methven is a mecca for ski bums, hikers and landscape-lovers alike! Whether you’re visiting for the ski season or check out the other awesome Methven must-dos in summer, Methven hostels are open year-round offering some affordable accommodation in Methven. So which are the best backpacker hostels in Methven? The awkward thing is, there isn’t exactly five hostels in Methven (there are only three). 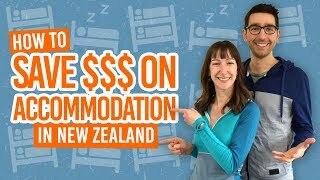 Nevertheless, just so you know all your options when travelling on a budget, we’ve included budget accommodation alternative for backpackers. There’s also another hostel option in the nearby town of Ashburton that’s worth considering. So here’s our list of what we consider the best hostels in Methven! Cosy up in this homely hostel with a friendly atmosphere. The lounge area with a log burner will keep you warm in the winter while there’s a spacious garden to enjoy during the summer. There’s all the essentials you’ll need such as kitchen, laundry and bathrooms, as well as a drying room, ski tuning and bike tuning facilities. Rooms include bunk dorms, family, twin and doubles. A cottage is also available to hire for groups. One more thing, BBH members can make use of their discount! Check Mt Hutt Bunkhouse out! For some of the cheapest dorm rates, check out Snow Denn Lodge. The lodge in the centre of Methven is separated into two wings of dorm rooms and private rooms. Dorms go up to only 5 beds. There are also private doubles, twins, singles and double ensuite, as well as communal kitchen, bathrooms and lounges. Ski bums can also make use of the ski storage. What’s more, there’s free unlimited WiFi! Check Snow Denn Lodge out! Have a break from bunks at the Big Tree Lodge. Choose from twin, double, single and 5-bed dorms. As well as your essential lounge and kitchen, there’s also free WiFi, free-to-use laundry, and a ski tuning area and lockers. The hostel has a small yet cosy lounge with a log burner, as well as an outdoor courtyard and barbecue. Check Big Tree Lodge out! Another great option for backpackers in Methven is the Methven Camping Ground. In addition to single, double and family cabins, there are powered sites and tent sites for those of you camping or travelling by camper. Facilities include communal kitchen, lounge and coin-operated showers and laundry. The camp ground is only a 3-minute walk from Methven town centre. If all else fails in Methven, then the nearest hostel to the town is the Ramblers’ Rest in Ashburton. Choose from single rooms or dorm rooms of only up to three beds in this hostel only 25 minutes away from Methven. What’s more, WiFi is free and unlimited, the washing machine is free to use (dryer coin-operated), and a communal lounge and kitchen. 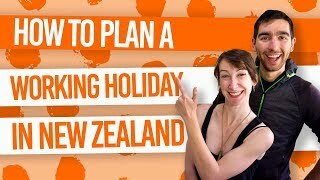 Outlet Shopping in New Zealand: Grab a Bargain!